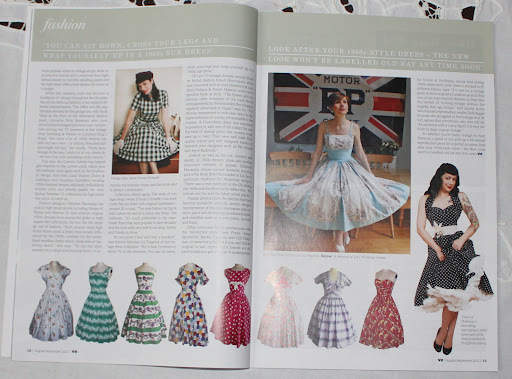 Just thought i would share the latest issue of vintage explorer as it features…ME! Jo-Ann Fortune discusses the impact of the New Look, and she asked me to answer a few questions for her, the answers to which have been worked into the article. 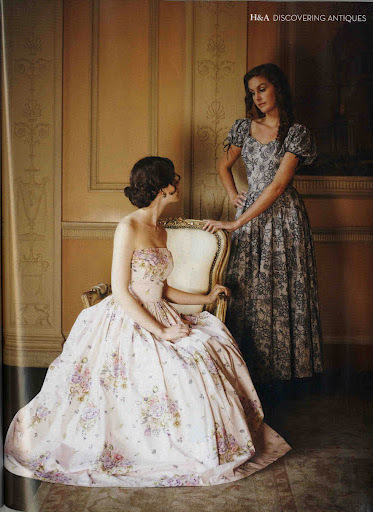 All of the dresses featured (at the bottom of the page) come from my collection of Horrockses dresses. If you would like some more info on the dresses please do feel free to ask! Guess what rather popular Sunday mangazine I’m featured in today? 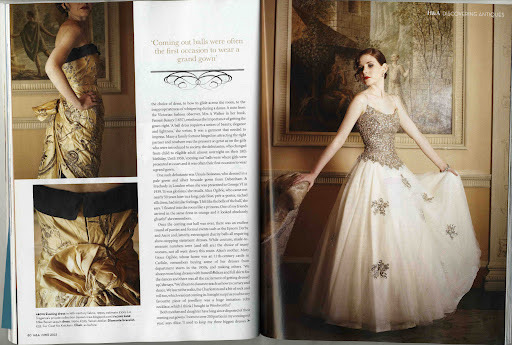 See me in vintage ballgowns in this months Homes and Antiques magazine! Well, this is rather an exciting post if there ever was one! 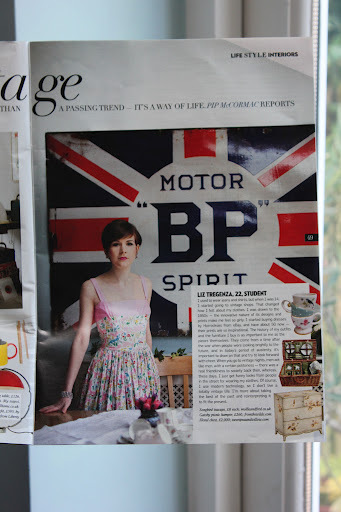 Today the latest issue of Homes and antiques magazine has come out, and guess what? I am in it!!! I can’t begin to explain how insanely excited I am about this feature. Homes and antiques is one of my all time favourite magazines (as a fashion student I should really being saying something like Vogue, but no!) So i was incredibly excited when I got asked to come and model for the magazine. 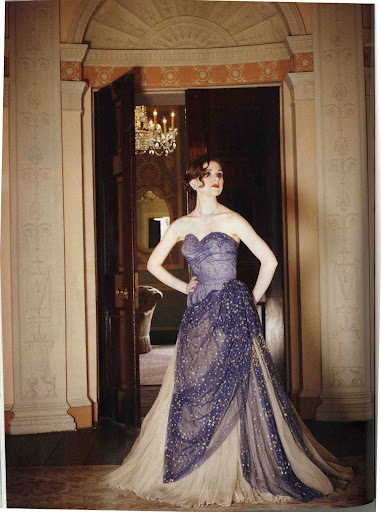 I am in the feature about vintage ballgowns written by the wonderful Katherine Higgins. 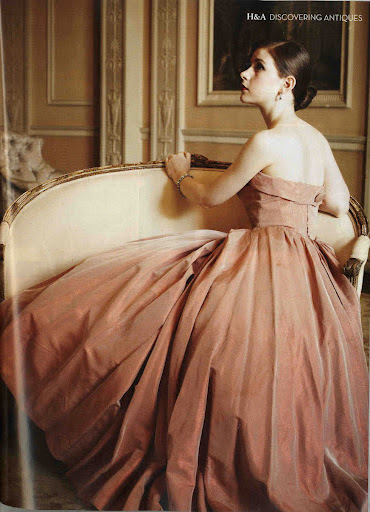 The dress above was a rather special dress as it was once MARGARET LOCKWOOD’S BALLGOWN!!! Yep, that’s right i was allowed to wear Margaret Lockwood’s Victor Stiebel for Jacqmar dress recently sold at Kerry Taylor auctions. Horrockses dresses seen above and also the gold ballgown (below) made from late 19th century fabric but turned into this dress in the 1950s. And if you are wondering about my rather glamorous look my hair and make up was done by the wonderful Natasha from pretty me vintage. Thanks for making me feel like a film star for the day! I highly recommend a peruse of the latest issue great features as ever, well done H&A!! !